Casteless or Caste-blind? – Dynamics of Concealed Caste Discrimination, Social Exclusion and Protest in Sri Lanka – edited by Kalinga Tudor Silva, P.P. 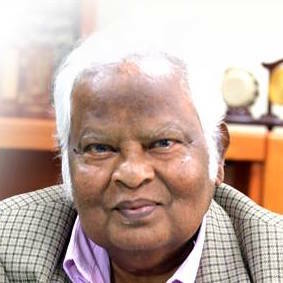 Sivapragasam and Paramasothy Thanges, is a very important addition to the studies on caste and its continued impact on the Sri Lankan society. To those who wish to or pretend to believe that caste is no longer a relevant issue for Sri Lanka, this study should serve as an eye-opener. The research team who have contributed to this study have identified three types of caste based discriminations in Sri Lanka; the caste as it exists in the North and East, among the Tamil community; the caste organization within the Tamils of Indian origin that is – the estate workers; and the caste discrimination among the Sinhalese. This study confines to the experience of caste from the Dalit perspective. In the Sri Lankan context from the point of view of what are called depressed castes. The study concludes that from the point of view of their limited study about 30% of the Sri Lankans fall within this category. Study of caste within the Tamil population provides great deal of data while also providing some important insights into the struggles against caste, among the Tamils in the recent history. It is interesting to note how the caste issue was an important focus in the Tamil political struggles and how the upper caste politicians change the focus of Tamil politics as directed against the Sinhalese. Thus, creating an impression of absence of distinctions and conflicts among the Tamils themselves. The LTTE on the other hand, imposed a ban on caste in the territory that they controlled, and thus once again directed the struggle of the Tamils identifying the Sinhalese as the enemy. However, after the end of “the war”, the caste factor has once again re-surfaced which has led some groups from the depressed castes wanting to remain in the camps rather than to go back to the localities where they came from due to the fear of being discriminated on the basis of their caste identities. Writing an overview of caste discrimination in Sri Lanka, Kalinga Tudor Silva and Paramasothy Thanges observes, that “…in spite of nearly two decades of war and related population displacements, a growing sense of minority consciousness and an ethnic solidarity cutting across caste among all Tamils and an official ban on caste imposed by the LTTE, caste distinctions continue to exist and affect day to day life, particularly in the Jaffna Peninsula…”. Among the Tamils of Indian origin, it was a British policy to recruit the workers to work in the estates, from amongst the most depressed castes in India. On the other hand, those who were to exercise a leadership of over these workers such as Kanganis were recruited from better-off castes. This distinction has continued to-date, with some modifications. Even today, those who continue to suffer from greatest amounts of social disadvantages are those who originally belonged to these most depressed castes. Among the Sinhalese, caste has been a central aspect of social organization over a long period of time, and its influence continues up-to date. “…The caste organization in the pre-British Kandyan Kingdom had a feudal character with an aristocracy known as the Radalas, peasantry – (Govigama), service castes (seva kula) and those expected to provide menial services (niche kula). …” The dignity of each group was determined by the particular group that they belonged to. There were some castes which were at the bottom layer of the caste system. Amongst the Tamils they were referred to as panchama caste and were treated as untouchables. According to some writers, 18 percent of the total population of Jaffna belonged to this category. Among the Tamils of the Indian origin the three lowest caste groups were pallan (menial workers), parayan (drummers), and chakkilliyan (toilet cleaners). Despite of their numerical strengths, these groups suffered greater discrimination. Among the Sinhalese, three small caste groups namely rodiya (beggars), kinnara (mat weavers), and gahara (executioners) were treated as out-castes. They often lived in isolated villages. Other caste groups that also suffered greater discrimination included padu/bathgama (manual labourers), berawa (drummers), wahampura (juggery makers), and kumbal (potters), and these were subjected to many forms of discriminations and prohibitions imposed by upper castes (the govigama and radala). According to some writers 20 to 30 percent of the Sinhala population belonged to these depressed caste groups. The book consists of the following chapters; Cast discrimination in Sri Lanka – and overview; Caste Distinction in Sinhala Society; Caste discrimination in the war affected Jaffna Society; Caste Distinction among Indian Tamil Plantation workers in Sri Lanka; Urban untouchability: condition of sweepers and sanitary workers in Kandy; Conclusion and recommendations; and several Annexures. In fact, these Annexures, make interesting reading and provides much insight not only to the caste system, but also about the discourse on caste in Sri Lanka. One of the speakers at one of the Seminars reported in an Annexure, expresses the view that one time, it was common in Sri Lanka to deny the existence of discrimination on the basis of gender. However, this has undergone considerable change in attitudes due to the work of many persons and groups who consistently exposed the issue of gender discrimination. He hoped that the present day denial of caste discrimination will also undergo such a change and this form of discrimination and its impact would be gradually recognized. Many of the speakers at these seminars have also given series of recommendations for better recognition of the problem and for the development of a policy framework to deal with the caste issue. 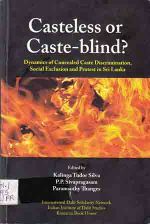 This book makes a strong argument exposing the myth of casteless-ness and the prevailing caste-blindness in Sri Lanka. It may be noted, that caste-blindness is expressed often in many different forms; often it is said that with social changes and education, caste has ceased to be an important consideration in Sri Lanka. There are others who argue that since Sri Lanka is a Buddhist society, caste never played an important role in Sri Lanka. However, anyone who looks into the day to day affairs in the country, including the ways politicians are selected for contesting various constituencies, the way the caste becomes a consideration for the selection of important social positions and jobs, and how caste is used for black mailing to undermine opponents both in the public and private spheres, would know the tremendous influence that caste plays in the Sri Lankan life. When the basic organizational structure of society has been designed on the basis of caste, and when this organization has prevailed for over a thousand years, the natural consequence is that it leaves deep impressions within the inner consciousness of the people. With modern knowledge about the role the unconscious factor plays in the lives of individuals and the society, it is not difficult to comprehend why caste remains such a formidable factor in South Asian societies. In India, there had been great struggles throughout history to overcome these influences. However, in Sri Lanka there had not been such struggles. Unfortunately, defying the great legacy of Buddhism to fight against caste in Sri Lanka in the period of revival of Buddhism the Nikayas that were created adjusted to the caste imperatives. The way caste based prejudices have militated against the development of democracy in Sri Lanka is a tale yet to be told. Casteless or Caste-blind?, is a book that is essential reading for those who are making a genuine effort to understand the nature of Sri Lankan society and those who seek explanations as to how the Sri Lankan endeavor towards the development of a democratic society is faced with such a formidable obstacles. What is Caste? We are all Human! Caste is a Man Made Division to demean One set of Humans by another! Why do we, Sinhalese, pretend to be the Guardians of Buddhism, when the Buddha Specifically stated that no one should be isolated by an Arbitrary Classification to Caste and Race! Caste is a very important thing. It defines a human being’s character. Let me ask you this simple question: if your son, daughter or grand child has a friend in school who’s Father happens to be a criminal or who’s Mother happens to be a prostitute, would you allow your child to be friends with this child? God forbid I hope your child doesn’t have such a friend, but if he/she did, I would imagine you would stop that friendship straight away. The same thing with the Caste system. Those of lower have lower qualities. You must avoid them. Take the Moratuwa Fernandos and Soyzas for example. When you look at them in the face, do you think they have class? I think not. But having said, people who are born in low castes still have a second chance to shred their low caste qualities, educate themselves and climb the social ladder. This is something I really beleive in and even admire in low caste people. Take the example, of India’s B.R Ambedkar. Born to such a low caste that in school, he had to drink water from the drain after the upper caste kids drank from the tap and that water flowed into the drain. But he rose against extreme poverty and social discrimination to become one of the most learned men in India. Have you and your dog been neutered? If not I am willing to finance the necessary operations. Perera, all are Paras in the Land of native Veddah Aethho, irrespective of taking Para-Portuguese, Parangios. Surnames such as Perera, Fernando, Zoysa, Corey, Rodrigo, Peris etc. by the licking the asses of Para-Portuguese, Paragios. By the way, the surname Perera is of local (Portuguese) origin, that is, it is a surname derived from the place of origin of the initial bearer. In this case, the surname is derived from one of several places so named in Portugal. The name is derived from the Spanish word “Pera,” which means “pear. Thank you for bringing this castism and racism to the attention of the readers. In Hinduism, the castism and racism, comes from scriptures, and the Hindu Tamil Castists and racists can take refuge in their scriptures. However, what is the refuge for the so-called Sinhala “Buddhists” when the enlightened Buddha clearly stated his viewpoints on the castism and Racism? So, Sinhala “Buddhism’ is not Buddhism. It is Castism and Racism. So, what is needed is Pristine Buddhism to rescue the Sinhala “Buddhism ” and Tamil “Hinduism” from it Castism and Racism. Dr. B.R. Ambedkar, the scholar and political leader who was principally responsible for the drafting of India’s Constitution, converted to Buddhism in a public ceremony in Nagpur. Somewhere between 100,000 and 500,000 of his Dalit followers — the accounts vary — embraced Buddhism in the immediate wake of his conversion. For Dr. Ambedkar, nothing in his long, distinguished career could convince him that the socio-cultural dynamics of Hinduism would ever offer Dalits a way out of “untouchability,” disenfranchisement, poverty and social stigma. Each year on October 14, conversion ceremonies take place at which Dalits embrace Buddhism or Christianity. Here again Basil Fernando had opened his “street magic show” Evangelical Buddhism. His clients like racist Amare are flocking again to spread hate against Hindus and Tamils. .
Leader Pirapaharan stated clearly whether it can be Basil Fernando or Amare, if it is Sinhala Chauvinist, they will always have a fake explanation to forcefully convert Tamil into Buddhism, which Tamils had abandoned from Thirunavukkarasar time, further they will teach Sinhala forcefully with false explanation and forcefully introduce Standardization with false reason. Tamil never can get out of this Sinhala racism unless they take a decision like Ambedkar took and leave the Lankawe altogether. Foreign religions started in TN at the time of Elanco. He went to those religions, became pundit of them, and then he came back to Hinduism. During Thiruvalluvar time, their ruling was at peak. He went into them; become a pundit; then he quit. The end of them was with Thirunavukkarasar. When he became a pundit, he presided their educational center as a VC. But when quit, he organized Satyagraha and wiped them out of the land. Amere and Basil Fernando are forming a team only to have Buddhism wiped from Lankawe. As long as they force the Buddhism to Modayas, well they two will act like prophets of this web site. When a “Thirunavukkarasar Tamil” is converted to Buddhism and he find out the mental sickness of these racists, that day is the final day to Buddhism in Lankawe. They should keep trying their luck. Sooner or later, the tyranny of the Sinhala Buddhism is going to fall into the hands of a modern Thirunavukkarasar. You have got the wrong target, in Basil Fernando, Amarasiri and others. Bertrand Russel, the Philosopher, (Lover of Wisdom) said that identifying the problem is 95% of the solution. Buddha identified and tried to abolish the Hindu Caste System 2,500 years ago. 2,500 years later, Dr. Ambedkar, a Hindu, came to the realization, that it was in the Hindu Scriptures, and the scriptures had to be changed, or reformed, and the Hindus were not willing to do so, because it was “Tradition” and it was in the self-interest of the higher castes. This is true for Sri Lankan Tamil Castisam and Sinhala Castisam, as the write up nattates. Mallaiyuran, look yourself in the mirror and ask the question, do the Sri Lankan Tamils have a Caste Problem, rooted in Hindu Scriptures? The Sinhal as well meed to ask the same question. “Najachcha Vasalo Hothi, Najachcha Hothi Brahmano” – “Not by birth is one an outcast, not by birth is one a Brahmana. By deed is one an outcast, by deed is one a Brahmana”. Basil mate, Where have you been all this time..
Sinhala Dalits are 30 % Tamil Dalits are 20 % which make a grand total of 50 %. I always th0oght it would be around 30 percent. I know for sure that 30 percent didn’t vote for Bodhi Sira or Dr Ranil. But what surprises me is how the Vellala TNA clean swept North and half of East. Is it because those Dalits didn’t turn up to vote . Were they scared of the Kanganis and the Vellalas s in their Villages?. If Dr Ranil’s Batalanda constitution kicks in , this 50 percent will have a greater rate of growth than the GDP. Batalanda Ranil’s Private Medical Schools, Private Hospitals , Private Universities Free Economic and Trade access to Hindians will ensure it. Albert is spot on on the latter. He would have seen the Yahaplana suckers in his Crystal Ball. I don’t mean the Vellalas. But our Dalits who go behind Dr Ranil and his band of Fraudsters. I seem to remember that Thanges made a claim here on CT of pretty much all the people still in the IDP camps being Pallar. What is the point of returning to a place that offers no work, no drinking water, no houses and lacks decent schools, health care etc? Even if a house is provided it will not help with the rest of the problems. The children of these go to the primary schools where almost all fail grade 5 exam. Later they drop out or fail O levels. Some of the places the people in the camps come from might still be used by the security forces. Always the first casualty, in any disaster- whether it is natural disaster or made calamity, in societies’ like Jaffna, are the oppressed ones. That is the reality even in developed countries, where the easy victims are the menial workers. By social structure oppressed caste are channeled to do only menial, daily wage earning jobs. Even for a small flood, they end up going to school those days. Only days assured for them for food and water are the days man and weather fully cooperate with each other. Any slightest disturbance is a big devastation for them. Most of their situation was, if the farmer walks to field their stomach gets filled. Around the end of war many farmers abandoned farmlands and had migrated or their children, the first hand help, had migrated. Fertilizer and gas were banned substances. On the other hand the oppressed ones who actively participated with LTTE had lost males, who do the heavy works for their bread, in the wars. Their economic foundation was no longer there. So the masters were not there; the workers were not there; the food was not coming to the woman and Children. (Now there are programs starting to find jobs for widows). That was not the ideal condition to wedge master like Basil Fernando and creating revolution to fight casteism. This man has not moved even a small hair to feed the widows in the North-East, who are migrated upcountry women or oppressed castes. Read Brian Seneviratne’s book on how the racism, gender inequality and casteism are devastating North-East widows. That book is used outside of Lankawe, including by UNHRC’s in its studies, but a banned substance to the master wedgers like Basil Fernando and they will never introduce it here. You seem to know a bit about Dalits,War Widows and their Kids.And how they bust their backs to put the food on the table. But I haven’t heard Vellalar Sampaththar or his Apprentice Abraham ever mention about any of them, after the Yahapalanya kicked in. Now Basil says 20 % of the Jaffna inhabitant population are Untouchables. I would rather call them Dalits because the other term is disgusting. Are any of them in the TNA ?. If so at least they would have collected that cool 30 Million LKR just like the way 99 TNA, their friends as well as foes in Kotte collected selling their car permits.. But Sampathar and Abraham I hear, are busy talking to Muslim Politikkas to look after them. Are there Dalits among Muslims.. The recovery plans were not taking care of this age old economic structure. Farmers were not encouraged to return to field. They own the lands (by lease of freehold). Economic activity was not started at the foundation. Many writers come from government funded pools; their living can go only telling what government likes to hear. There is no independent university to fund a study and bring out the facts. Jaffna University is still under the control of the old EPDP Knights. “Sand Master” Dougie like the ones were one planning and implementing recovery plans. How would you like the “Help Hambantota” Chief Justice and Defendant in that case running the recovery plans? Basil Fernando, Mahindapala Like the ones were used to wedge between worker and farmer but , after war,reuniting programs were not launched. I am not a banker but let me put one example. Making meeting with farmers and putting a condition that they employ minimum two non-family workers year round get a favorable loan would have induced farmers to return to the field. Unfortunately, this type of redeveloping economy was the conspiracy against the war heroes. So, Army took the land and they got employed themselves. They developed the main roads to tanks to move freely. Further damage was done by the absence of innovations by the hired to wedge like Basil Fernandos, who took in Dollars in addition to government grants, but the farmers became dependents of the relatives’ remittances from diaspora world. Gotama failed. but the new Buddha Mallaiyuran will not fail. He is already a success. among the majority community . Why do you say that Our Head of State is from an ‘Oppressed Caste’? Obviously your ability to understand written English is below par . Please read my comment again , and see if you can comprehend . I do not know, this time, what kind of Mr. Clean image Basil Fernando is trying mask him with by leaving behind, after working closely with, his colleagues Edwin Dorrigo, Izeth, Mahindapala, Amarasiri, ….. but not denouncing those well-known anti-Tamil activists- especially Amarasiri, who publicly & shameless demanded “Tamil be converted to Buddhism”, an equivalent slogan in religion to SWRD’s Sinhala Only slogan for languages. But this time, Thanks for Mr. Fernando to have accept the truth. Here, first time, one Sinhala Public figure has accepted in his essay that LTTE had completely banned caste system but, when Sinhala government retook those area from LTTE, they revived it and making out their living by banging on it. This is how the occupying Sinhala Police and Army can use the caste differences to tap daytime bribe and nighttime illegal arrack and toddy. And, importantly, Basil too, can pose in “activist” costume for NGOs. These Sinhalese are too worried about the Tamils caste system, but only after the LTTE is wiped out. Edwin Rodrigo, Basil Fernando, Mahindapala, Amarasiri like Sinhala prophecies are too interested in curing the Tamils’ caste blindness and make bliss out of it, but none have got into talk the of releasing the Kandy high caste religious head offices to the access of ordinary by passing a law in the parliament in parallel to ITAK’s 1957 private bill. The ultra-chauvinist Sinhalese like Basil Fernando, Edwin Rodrigo, Amarasiri, and Mahindapala have not asked the mass to organize to enter into the Kandy Govigama places like a Maviddapuram Temple Entry in 1968. Come on, answer to this Mr. Fernado, Sinhalese are 50 years behind to Maviddapuram temple entry and 60 years behind to ITAK’s private bill, but from 1972 Buddhism is the prime religion in Lankawe as per its constitution. What is preventing you to start campaign for you bring in Parallel law to ITAK’s in parliament for the Sinhala oppressed castes? You will not do that it is because your race’s caste system will suffer a blow or is that you fear you will be wiped out by the Sinhala Ayatollahs so you prefer to keep hitting the Tamils, the easier target? Caste is a state of mind. Anyone who imagines himself as so-called ‘high caste’ has a delusion which others cannot perceive. This consumes that individual’s psyche and destroys him and his kith and kin. He is unable to label anyone openly as then he would look a fool and be treated with contempt. Caste considerations of fellow humans are human rights violations. This quoted book is for fools and charlatans living in an imaginary world and should be banned. Not at all if the “labeling” (not sure about what you mean) is done among persons from the same caste. There are maybe 40% Vellalahs in Jaffna, 40% other sort of middle castes and only maybe 20% of the lowest. The 80% talk openly about the 20%. I am sure that the 20% have their own discussions and opinions on the 80%. Unfortunately it is about reality and a ban would only hide the problems. Instead of a ban there should be more debate and action. Apart from the language/religion divide, the caste system is yet another Lanka bane. HLD Mahindapala tries to make out that only Tamils have this odious system. Izeth talks of “scheming Velha-lhas”. The silver lining is the visible signs of decline – it is not part of social gatherings, not mentioned in schools and in universities but one has to agree with Basil: “To those who wish to or pretend to believe that caste is no longer a relevant issue for Sri Lanka, this study should serve as an eye-opener”. In the West temples are big big big business. They insist on Brahmin priests and propagate the bane. In Britain, Cameron tried to make caste discrimination illegal. The parent body of temples went hammer and tongs saying “It is not there, so why criminalise this”. Politician Cameron capitulated to the threat of losing block votes. Thank you Basil for the article. There is a similarity between what happened in South Africa and what is happening in Yapanaya. The Wellalas in Yapanaya are like the white Afrikans in S. Africa. The Dalits in Yapanaya are like the black Africans. In S. Africa, the minority whites ruled the blacks. In Yapanaya, minority Wellalas=White Afrikans are ruling the Dalits and discriminate against them. No wonder Dalits told not to give land and police powers to Wellala dominated NPC. In India, Christian African Americans have a programme to liberate Dalits. In Yapanaya, the Christian church is turning a blind eye to the plight of Dalits. We should bring the plight of Dalits in Yapanaya to the attention of Christian Black Africans because UNHRC is also turning a blind eye to human rights violations committed by Wellalas against Dalits. In the west, Nobel Prize is awarded to Economists, who come out with inventions. But in Lankawe Basil Fernando like the able minded are fed with overzealous racism and turned into coolies and spies, who are no different from the society’s cancerous growths like 8th grade Parliamentarians or Dougies. They only can dig filth to find proof for their point but cannot become whirring, robostic problem solvers. They shamelessly keep grinding on their foul inventions. In total they become heavy overload to the society to counter them, rather than they ease the life of oppressed and bring them to the level of the leading ones. Economic and education development is the key for them to move shoulder to shoulder with the developed ones. To develop the North-East economy which was planned and being destroyed for the last 70 years by Appe Aanduwa devolution is the key. The only reason for sacking North-East economy is racism. India is fast developing because the devolution of power. Tamil who brought ITAK’s private bill in 1957 and LTTE’s absolute ban of caste system knows how to fight this problem by law. The only help needed from wedging Sinhala Chauvinist Government and its agents is they should take off their hands and should deprive their guard dogs from “day time bribe and nighttime toddy”.